Help for Heroes Trading Limited is the retail arm of the Help for Heroes charity. 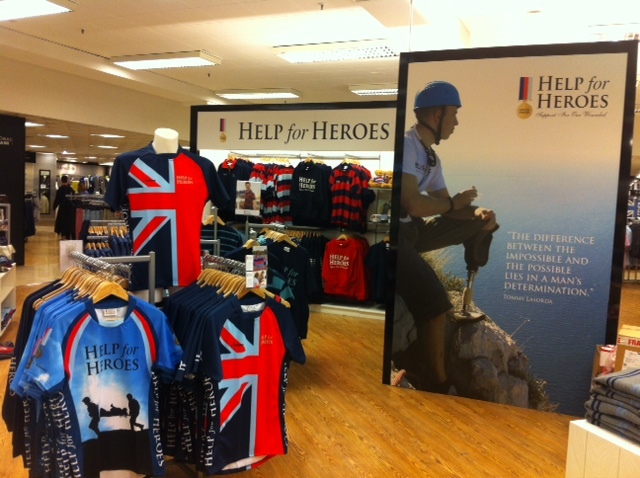 The company produces, stocks and sells branded Help for Heroes products in its own shops and, more recently, through concessions at a number of Debenhams locations throughout the UK. Its growing stock of over 350 lines includes ranges of clothing for men, women and children, wristbands, kitchenware, toys and accessories. Help for Heroes Trading also produces and sells a full range of Help for Heroes Christmas cards and gifts. 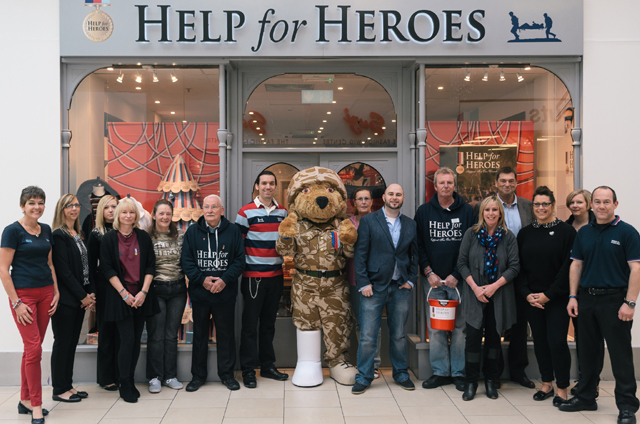 The Help for Heroes stores, which are run by a combination of salaried retail staff and passionate volunteers, aim to raise money as well as increase awareness about the charity across the UK. Help for Heroes Trading implemented Eurostop’s retail management solutions in 2013 to support its online and physical store growth. At that time, the company needed to ensure that it had robust systems that would deliver business efficiencies and set them up for growth. This they have achieved with the help of Eurostop’s e-pos, e-rmis and e-cubes solutions. Eurostop’s e-rmis solution integrates directly with the company’s finance, e-commerce and warehouse management systems, which, according to Helen, has put them in a much stronger position than previously and has given them essential visibility across the sales and stock arena. This, she believes, has been pivotal in supporting better business decisions, informed buying decisions and in planning promotions and merchandising. 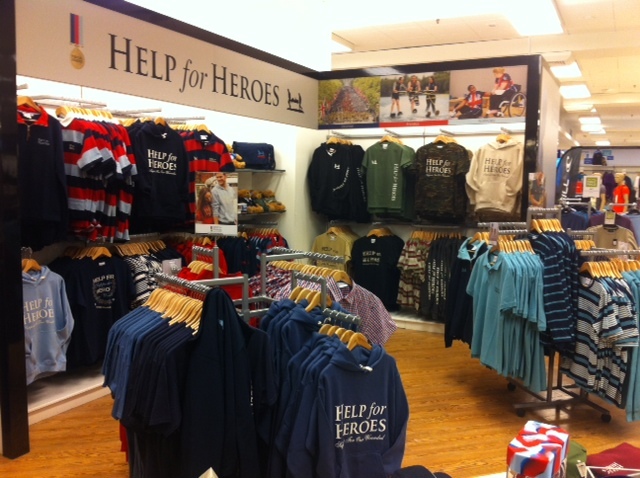 More recently, Help for Heroes Trading has moved into a new area of business, opening three concessions at the busy Debenhams department stores in Southampton, Basildon and Gloucester. The Eurostop software integrates with Debenhams’ in-house system making trading much easier. Product, stock and pricing information is uploaded directly to the Debenhams system and presented as available items in the Debenhams in-house POS software. Sales are rung through the Debenhams till-points in store and sales data is sent back to the Help for Heroes e-rmis system in a two way integration that ensures data integrity across both wholly owned stores and concessions.